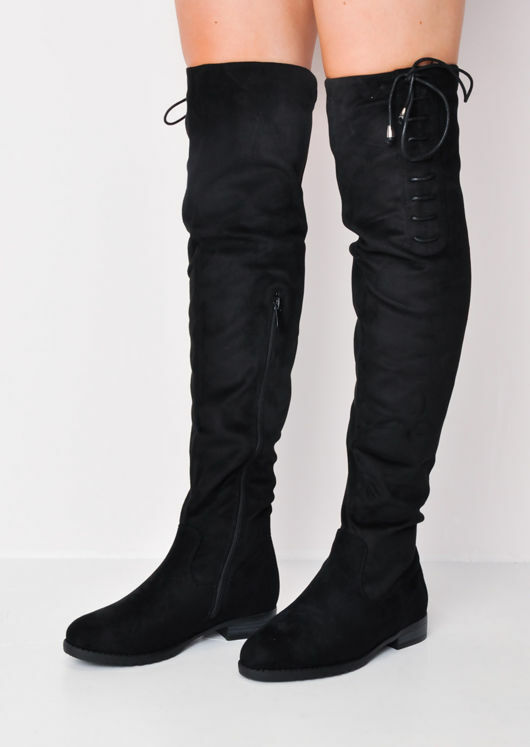 Step up your shoe game with these beautiful faux suede low heel over the knee boots. With a leg lengthening effect, they're your perfect go-to shoe no matter what the occasion. Features: low heel, zip fastening and faux suede fabric, side lace up detail.